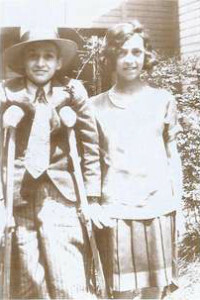 My dad, Carmel, and his sister, Mary during the Great Depression. In the book they became the characters Charlie and Margo. My dad, Carmel Coco "Charlie" recuperating from his leg surgery in 1929. 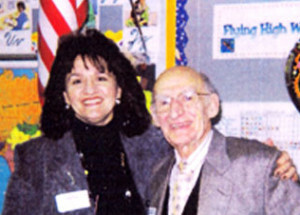 A 1999 photo of me with my dad, Carmel C. Coco. 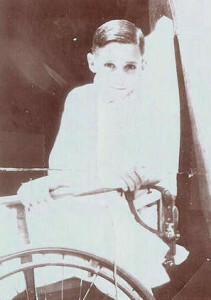 Dad is now 95 years old and is the character, "Charlie" in the book. In A Letter to Mrs. Roosevelt, Margo and Charlie lived with their parents on Maple Avenue. This is an old newspaper clipping of the house as depicted in the story. The house was loved and well kept; however, it was actually my mother’s home. 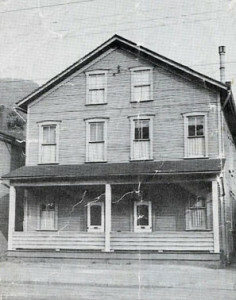 The house no longer exists, with this as the only known photo. Set during the Great Depression, A Letter to Mrs. Roosevelt is a heart-warming story of an 11-year-old girl’s courageous attempt to save her family’s home. The Great Depression has disrupted the safe and secure life that Margo Bandini has grown to enjoy in the small town of Johnstown, Pennsylvania, where she lives with her parents and younger brother. In school, Margo has studied Black Thursday and the Domino Effect. She has watched hobos come to her house for food, witnessed “Sheriff Sale” signs on the houses of her neighbors on Maple Avenue, and has taken notice when Papa comes home with produce as payment for repairing shoes. But, the dark days of the Great Depression take on a new meaning when she comes home from school and sees a “Sheriff Sale” sign on her house. Desperate to save her family from economic despair, Margo writes to Eleanor Roosevelt for help. When she receives an unexpected reply, Margo scores a victory for her family and learns the true meaning of brotherhood. 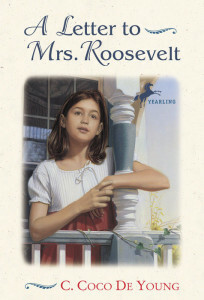 A Letter to Mrs. Roosevelt is based on true stories handed down in my family. During the era of the Great Depression, the well-being of the Coco Family was threatened. Grandfather, Michael Coco, dictated a letter to the First Lady, Eleanor Roosevelt, which was penned in the handwriting of my father’s older sister, Mary. Grandfather Coco did not ask for money, but for the gift of time. His plea for help was answered.